Moving away from your home country shouldn’t mean saying “goodbye” to your favorite TV show. Have you wondered how to unblock TV shows when you are abroad? Or have you tried watching foreign TV shows online and got a “not available in your country” message? 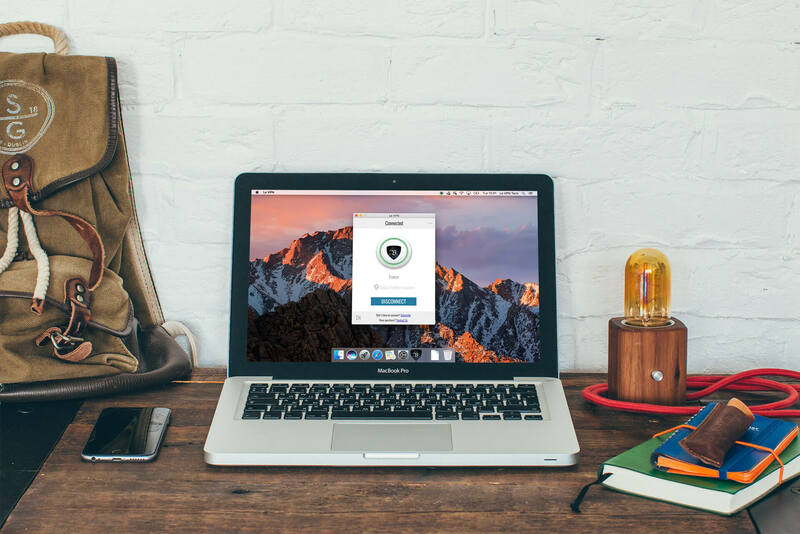 The secret is very simple: you need a VPN! It’s simple and straightforward, and you get a seven-day, money-back guarantee for added peace of mind. Our service is compatible with all major operating systems and devices: Mac, Windows, Linux, iPhones, iPads and Androids. A VPN works by offering users an IP address from somewhere else in the world — somewhere that your favorite TV show is not blocked or otherwise censored. Le VPN keeps more than 800 servers in 114 countries to ensure we always have the connection you need to gain access to your shows. We offer one all-inclusive plan in a variety of terms. Some users are traveling for the summer and need just a few months. Others are living abroad for the long term and need a subscription in perpetuity. No matter your needs, Le VPN is your source for free and open access to the Internet — just the way it was designed to be. Have you ever been traveling abroad and wanted to access news and sporting events from your home country, but found that the country you were visiting had strict censorship restrictions? By leveraging a Virtual Private Network (VPN), you’ll never find yourself in a situation like this again. How about some even better news? With Le VPN’s new SmartDNS service, which comes standard in our Premium plans, you can watch BBC iPlayer and other online foreign channels from different regions quickly and easily. Thanks to the technology’s ability to let users route their Internet traffic through servers located in other countries, you can use a VPN to not only watch your favorite TV shows, but also in unblock sporting events. If a person in the United States was trying to watch a football game that was blocked due to blackout restrictions in their region, he or she could use a VPN and appear to be accessing the Internet from England. In doing so, the individual would now be able to watch the game online! Le VPN’s new SmartDNS service makes our VPN different from traditional ones. For example, when you use our SmartDNS, you can unblock your favorite television channels in the United States, the United Kingdom, and France no matter where you happen to be. Our SmartDNS functionality also lets you toggle between content in different regions and countries without the hassle that comes with having to reconfigure your devices. The recently-completed Sochi Olympics served as the perfect example of how you can benefit from VPN technology. By using our VPN technology, users were able to watch the Olympics live on various networks depending on their preferences. Because of the time difference between Sochi and America, for example, those curling aficionados who live in the United States could have easily accessed live feeds of the sport from the comfort of their homes. You can also use a VPN to unblock TV shows that otherwise aren’t accessible on your country’s Internet. This is particularly useful for people who live outside of the United States but want to watch the latest episodes of their favorite shows either live or replayed from the channel’s website. Users will never have to miss a show again, and they can access the content they desire whenever is most convenient. It’s also useful for newshounds who want to access news shows from the BBC, regional NBC affiliates or unblock TF1 outside of France. Rather than being kept in the dark about certain areas of the country or the world, VPN technology allows users to access newscasts from all corners of the globe. In today’s digital age, Internet censorship is unfortunate but it is more pervasive than we might imagine. Education and access to information is essential to progression, and history has repeatedly shown us what censorship does to societies. Thanks to VPN technology, censorship is eliminated and governments are unable to shield individuals from information. There are often other causes of censorship. Sometimes, broadcasters will try to sell their products exclusively because cable and satellite companies are willing to pay more for content that won’t be shown elsewhere. At Le VPN, we don’t think that means you need to be kept in the dark. Our SmartDNS service lets you stream channels at ultrafast speed on multiple devices, including your Smart TV! Because the connection is no longer encrypted with our SmartDNS service, you can enjoy the content you want delivered without any bottlenecks. At Le VPN, all of our plans are available for 114 different countries. This gives you the ability to access a diverse slew of information and content that otherwise might be out of reach. Contact Le VPN today to learn more about how you can benefit from our VPNs depending on the country you are living in.